What did the First Amendment originally mean? The founders’ understanding of the concept of rights would leave them confused by how we make decisions about freedom of speech today. The First Amendment says that “Congress shall make no law … abridging the freedom of speech, or of the press.” For Americans, this language is familiar. But what exactly does it mean? How far do the speech and press clauses restrict governmental power? The founders, as we will see, answered these questions very differently than we typically do today. And the reasons why highlight fundamental shifts in American constitutional thought. At first glance, the text of the speech and press clauses might appear to prevent Congress from imposing any restrictions on expression. But this reading can’t be right, and it never has been. Every well-functioning government needs to restrict at least some speech. Laws against committing perjury, disclosing classified information, and making terrorist threats, for instance, all restrict “speech,” but no one seriously doubts their constitutionality. In any event, the First Amendment says only that Congress cannot abridge “the freedom of” speech or the press; it doesn’t say that Congress cannot restrict speech or the press at all. By itself, the text is unclear. 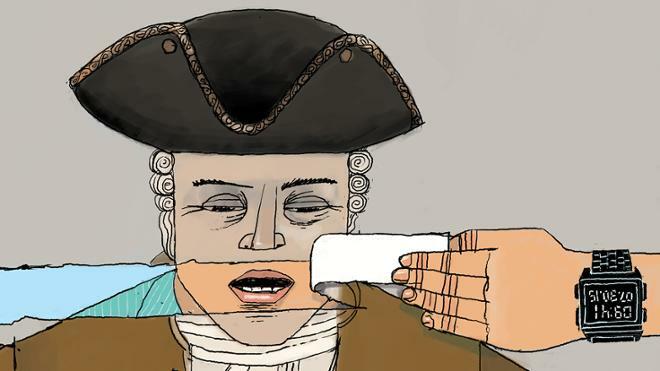 When faced with opaque features of our Constitution, judges and legal scholars often look for what those provisions meant when they were enacted. Nowadays, we typically associate this approach with political conservatism, and particularly the claims of many self-proclaimed “originalists” who aim to interpret the Constitution according to its “original meaning.” But the truth is that virtually everyone puts enormous weight on history. The Supreme Court has the power only to interpret the Constitution, not the power to change it, so arguments about original meaning have always had special force. With only peripheral exceptions, however, modern judicial decisions about expressive freedom do not consider original meaning at all. For jurists of all stripes, interpreting the First Amendment is a historical dead zone. But why? The most straightforward reason, it seems, is that nobody knows what the First Amendment originally meant. As leading First Amendment scholar (and former dean of Richmond Law) Rodney Smolla puts it, “One can keep going round and round on the original meaning of the First Amendment, but no clear, consistent vision of what the framers meant by freedom of speech will ever emerge.” A quick look at the history reinforces Smolla’s point. Only a decade after the Constitution went into effect, Americans vehemently disagreed over whether Congress could pass the Sedition Act of 1798, which banned false and malicious criticisms of the federal government. If the founders couldn’t even agree among themselves about that type of law, then surely looking for the First Amendment’s “original meaning” is like searching for the Holy Grail. But perhaps we have framed the question in entirely the wrong way, seeing hopeless confusion where the founders would have perceived a more ordered disagreement. Of course, attitudes toward speech and press freedoms were not uniform. Constitutional disagreements were commonplace back then, just as they are today. But maybe there was an order to the chaos in a way that we haven’t previously appreciated. The key to understanding the original meanings of the speech and press clauses is to step back from a search for the meaning of particular rights and instead try to appreciate how the founders thought about rights more generally. In other words, we’ve been focused on discerning an image in a single puzzle piece rather than looking for its place in a broader puzzle. For us, a constitutional “right” is a legally enforceable privilege or immunity — something that the government has to provide us (e.g., our “right” to a jury trial) or something that the government cannot take away (e.g., our “right” to possess personal firearms for self-defense). But American elites in the late 18th century understood their “rights” in a very different way. For the founders, rights were divided into two categories: natural rights and positive rights. Unless we approach the task of constitutional interpretation on their terms rather than on ours, the First Amendment’s original meaning will remain elusive. ... natural rights were not a set of determinate legal privileges or immunities that the government could not abridge. Natural rights, it bears emphasis, could be restricted by law to promote the good of the society. Natural rights were all the things that we could do simply as humans, without the intervention of a government. As Thomas Paine once put it, “A natural right is an animal right, and the power to act it, is supposed … to be mechanically contained within ourselves as individuals.” Eating, walking, thinking, and praying, for instance, were all things that individuals could do without a government, so they were all easily identifiable as natural rights. Meanwhile, positive rights were defined explicitly in terms in governmental authority. The right to a jury trial and the right to habeas corpus, for instance, were positive rights because they were procedures provided by the government. With these definitions in view, the founders had no need to write out long lists of which types of rights were natural and which were positive. The distinction, to them, was obvious. Speaking, writing, and publishing, for instance, were all things that people could do without a government, so they were readily recognizable as natural rights. When James Madison introduced the Bill of Rights in the first Congress, for instance, he only mentioned in passing that freedom of speech was one of the “natural rights, retained.” Madison’s audience easily understood his point. Expression is an innate human capacity, so it is a natural right. But we still haven’t quite arrived at the original meaning of the speech and press clauses. For that, we need to understand how natural rights constrained governmental power. Surely the First Amendment imposes some limits on Congress. (It says, after all, that “Congress shall make no law … abridging the freedom of speech, or of the press.”) What were those limits? For the founders, natural rights were rooted in a philosophical system called social-contract theory. According to this theory, the proper scope of governmental authority is discoverable by first imagining our situation as if there were no government and then considering why we would come together and agree to form a political society through an agreement known as a social contract. The political society would then agree to a constitution that created a government and granted it certain powers. As a general matter, therefore, the concept of natural rights helped define who could restrict individual liberty (namely, a representative legislature) and why they could do so (namely, to promote the public good). But natural rights were not a set of determinate legal privileges or immunities that the government could not abridge. Natural rights, it bears emphasis, could be restricted by law to promote the good of the society. “[T]he right to speak and act,” American patriot James Otis explained at the onset of the colonial conflict, “is limited by the law — Political liberty consists in a freedom of speech and action, so far as the laws of a community will permit, and no farther.” Effectively, this put the legislature — not judges — in primary control over how far to restrict expression. The freedoms of speech and of the press, in other words, were a primarily philosophical concept — not a strictly legal one. At the same time, the founders also appreciated that certain regulations of speech were not in the public interest and were, therefore, beyond the scope of legislative power. The famous “rule against prior restraints” — prohibiting the government from requiring preapproval of publications — is one example. Another is that well-intentioned criticisms of the government could not be punished. (Deliberate efforts to mislead the public were an entirely different matter.) The First Amendment thus prevented temporary legislative majorities from abandoning these settled principles. How much further the speech and press clauses went, though, was up for debate precisely because the founders often disagreed about exactly what restrictions of expression promoted the public good. This conflict was especially clear in the late 1790s as Americans clashed over the constitutionality of the federal Sedition Act. Members of the Federalist Party — the party of President John Adams — argued that maintaining a republican government required punishing those who falsely and maliciously criticized the government. “[E]very individual is at liberty to expose, in the strongest terms, consistent with decency and truth all the errors of any department of the government,” Federalist jurist Alexander Addison wrote. But this hardly implied constitutional protection for deliberately misleading the public. “Because the Constitution guaranties the right of expressing our opinions, and the freedom of the press,” Federalist congressman John Allen asked rhetorically, “am I at liberty to falsely call you a thief, a murderer, an atheist?” Stopping the spread of lies, Federalists insisted, was essential to maintaining a well-informed electorate and, thus, a republican government. In response, Jeffersonian-Republican opponents of the Sedition Act did not even try to defend the notion that all speech is beneficial. “It may perhaps be urged, and plausibly urged, that the welfare of the community may sometimes, and in some cases, require certain restrictions on [an] unlimited right of enquiry,” Elizabeth Ryland Priestley wrote. The problem for Republicans, however, was the prospect of governmental abuses of power. Authority to punish sedition, Priestley explained, “once conceded, may be extended to every [opinion] which insidious despotism may think fit to hold out as dangerous.” In other words, Republicans still assessed questions of free speech in terms of the public good — the core principle set out by the First Amendment — but Republicans were worried that Federalists were pursuing their own narrow partisan interests rather than the general welfare and that these abuses of power would stifle useful public debate. In sum, the founders thought that the First Amendment required Congress to restrict speech and the press only in promotion of the public good, while also guaranteeing more specific legal rules that had long protected expressive freedom. The amendment, in other words, stood for a general principle — one that left room for considerable debate about how it should be applied in practice — and also for the entrenchment of more specific settled principles. The speech and press clauses thus shaped debate about expressive freedom while also standing as bulwarks against constitutional backsliding. The amendment was not simply a counter-majoritarian limit on legislative power. However, once the people agreed on core features of expressive freedom, the legislature could not turn back. This process of accumulating and refining constitutional principles over time through political means is foreign to us. Rights in the modern sense are counter-majoritarian limits on legislative power, so it seems strange that their scope could somehow depend on political decisions. For us, judges have that job. For people born and raised in the tradition of the customary British constitution, however, the logic of recognizing constitutional limits through political rather than judicial means makes perfect sense. “[C]ustomary law carries with it the most unquestionable proofs of freedom,” explained James Wilson, a delegate to the Constitutional Convention and later Supreme Court justice. Politicians do abuse power, of course. But for the founders, once legislators agree on a constitutional principle, and once that settlement remains in place for some time, the principle becomes binding. “[L]ong and uniform custom,” English jurist Richard Wooddeson noted in 1792, “bestows a sanction, as evidence of universal approbation and acquiescence.” It was, in other words, as if the people themselves had spoken. For the drafters of the Bill of Rights, the First Amendment fit within this familiar tradition. Well-established principles about expressive freedom would limit Congress, and judges and juries could enforce these settled boundaries of governmental authority. But, otherwise, the First Amendment would leave the task of defining the public good to the people and their representatives. For the founders, judges could not create new limits on governmental authority. That development came a century and a half later as the Supreme Court began to strike down state and federal restrictions of speech in the 1930s. The vision embraced by the justices was still evolutionary — recognizing new constitutional principles over time. But going forward, courts, rather than legislatures, assumed primary responsibility for determining the scope of constitutionally enumerated natural rights. This is when we began to lose touch with this part of our constitutional past. The rights recognized in the Bill of Rights all started looking the same, without distinctions between natural rights and positive rights. All of these rights, in turn, became trump cards that individuals began to play against legislative claims to the common good. Political settlements no longer mattered; judges were now supreme exponents of the Constitution. Questions of policy — questions about what types of laws promoted the general welfare — transformed into an abstruse web of legal doctrines. Rather that promoting engaged civil debate in the political sphere, invoking “rights” is now a way of shutting that debate down. Perhaps the way the founders understood the First Amendment is ill-suited for our modern world, where distrust and disdain for politics constantly seems to reach new heights. From abortion restrictions to gun-control laws to limits on speech, Americans by and large look to courts, rather than to ourselves and our political representatives, to define and protect our rights. Constitutionally speaking, we live in a different world. Perhaps we can’t or shouldn’t go back. But at the very least, history can help open our minds to new ways of thinking and help us appreciate the foreignness of our constitutional past. Rights were not always claims against the public good, and judges were not always the ones who decided their full scope. Where we go from here is up to us. Jud Campbell is an assistant professor at University of Richmond School of Law.